Brand new label Delayed Audio kicks off with a multi artist EP featuring tracks from Chamboche, Session9 and Last Mood. 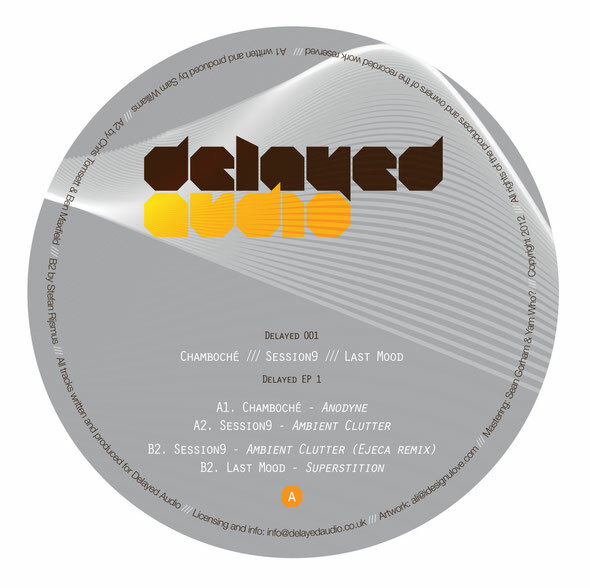 Delayed Audio is a brand new label from Brighton that is set to release deep, electronic music from new and established artists. The imprint is co-owned by Richard Harmer, the man behind Black Key Records that has created a stir over the last year with its unique take on deep house music and Paul Budd, the man behind The Unity Agency & Disco Deviant. To kick-start the Delayed Audio output the label has put together a multi artist EP simply titled ‘Delayed EP 1’. The record starts with a track from Chamboche, best known for his productions on UK disco label Under slice of deep house, that fuses broken beats with a bumping bassline and infectious vocal edits. Following on from Chamboche’s offering is a track from production duo Session9 who offer up ‘Ambient Clutter’, a house workout that journeys into deeper and techier territory with its understated melodies and deft drum programming. Alongside the original is a remix from Aus Music & Tusk Wax artist Ejeca who brings a distinctly soulful disco feel with a mix that blurs the lines between house and garage. Finally, it’s the turn of Dutch DJ/Producer Last Mood, who delivers ‘Superstition’, a slice of slo-mo electronica with a brooding electro influence. Out today.